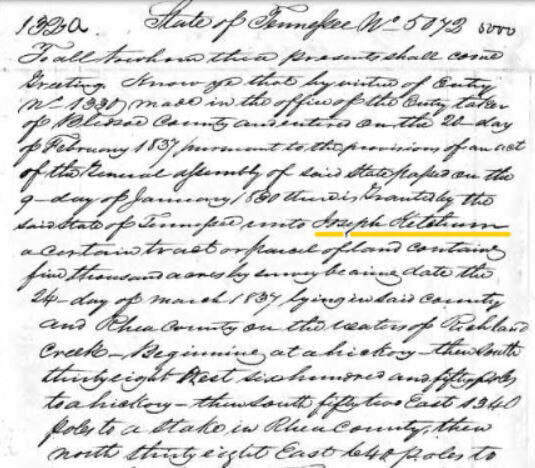 Joseph was born about 1787 in Washington Co., Virginia. He married Martha Wade (1790- 1845) after 1840 in Bledsoe Co., TN. Joseph died Bet. April 05 - May 03, 1847 in Bledsoe Co., TN. 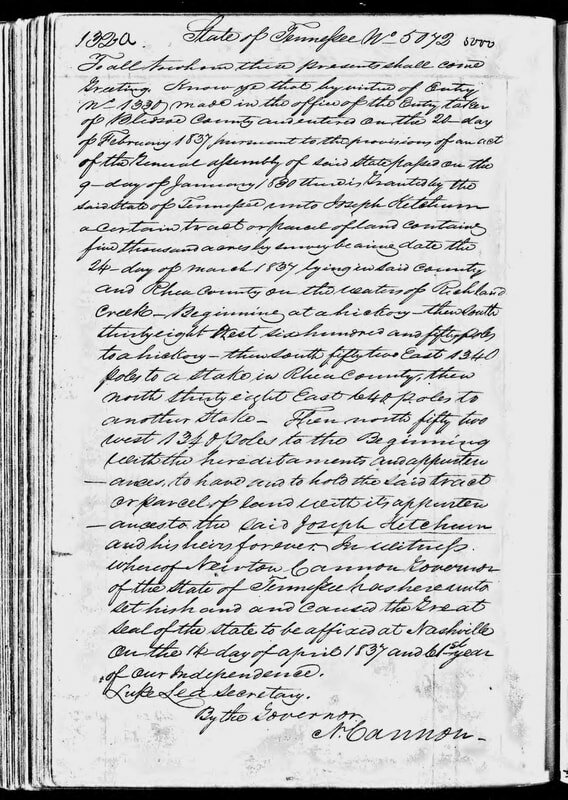 Bledsoe County Court Minutes the widow of Joseph Cetcham was in court to settle Joseph's estate. This was on 3 May l847. On 5 April l847, Joseph himself was listed in the minutes, and it is obvious that he was still alive on that date. So, died sometime between 5 April and 3 May l847. His widow's name was Martha, aka Patsy. As of 1847, he was also known as Cetcham. He was appointed for road work “Ordered by the court that the following gentlemen be appointed to work on the road on Cumberland Mountain commencing near where Joseph Cetcham now lives and running to the Van Buren county line as laid out.. James Cowan (overseer), Isaac Whitenburg, George W. Cetcham, Charles Cetcham, John Cowan. . . “on 5 Apr 1847 at Bledsoe Co, Tennessee. John Jackson Ketchum, b. 1818; d. December 23, 1862.